﻿Echoes makes its UK debut during London Design Festival 2018. The iconic work designed by interdisciplinary house studiopluz displays its latest evolution at sketch from September 5th, 2018. 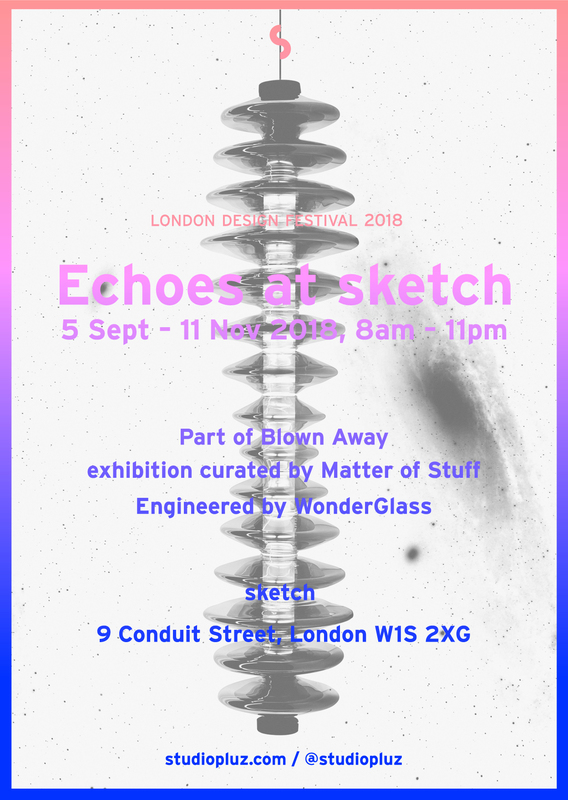 Showcased as part of Blown Away, a new site specific exhibit for LDF 2018 curated by design research gallery Matter of Stuff, Echoes appears in London for the first time as part of a showcase featuring a series of innovative hand-blown and cast glass works by leading designers.